OK, this is marginally embarrassing but I am so psyched that I don't care. While recouping from some surgery in December, I spent an inordinate amount of time on the computer. I happened to spot this on Facebook and started watching all her DIY videos. Well to make a long story short, I bought a "lot" of 16 used Bratz dolls (hideous things) and they should arrived Wednesday. 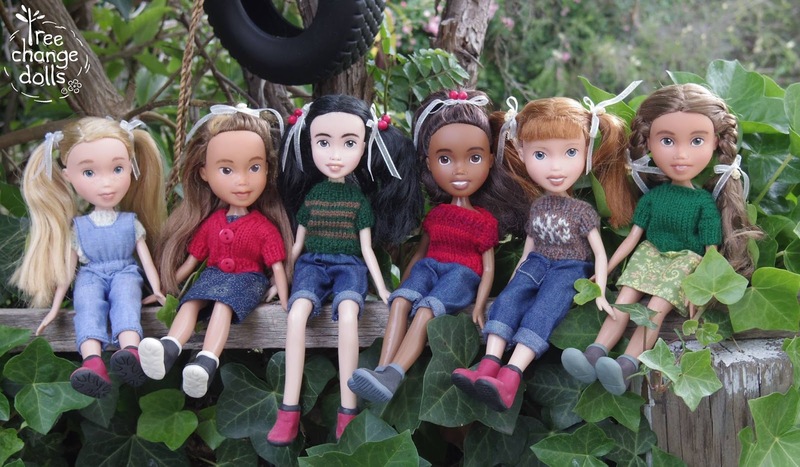 Sonia also sells knitting patterns for her sweet dollies on etsy so I bought four variation. I managed to find my 2, 3, and 4 size needles and gathered up some yarn scraps. I think you can count of a few posts about me playing with dolls. Of course my ADD self can't just do one thing so I am finally finishing the English Paper Pieced quilt Judith's daughter, Ellen, made for me while I was having chemo 2 years ago. It is really stunning. I will post about next. Today I am dyeing some white flannel purple for the back of the EPP quilt. That will be soft on my lap and it will stick to me and not slide off. * Tree Change is an Australian term used when one moves from the city to the country. It basically means "back to nature". If only we could make over all the real live young women on the street who are dressed and painted up like Brat dolls - or Hollywood starlets - into natural beauties. i saw this last year and luved it. But oh, no. I hope you keep your inspiration to yourself. LOL I haven't time to dig out all my 'doll' stuff. eek! 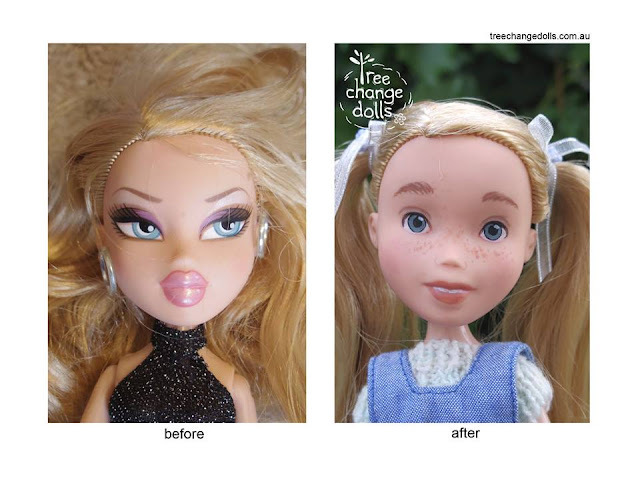 What a wonderful way to make lovable dolls out of someting freaky. Maybe the same could be done with Barbie dolls. 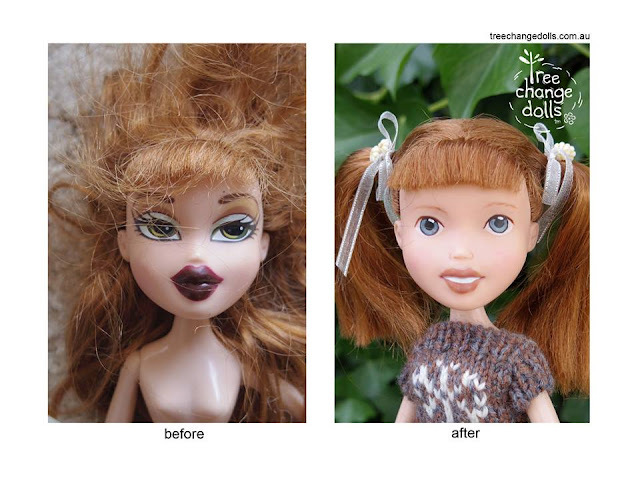 I've never seen the tree change dolls before. What an amazing idea. Love these beautiful up cycled dolls. I've seen those dolls before. I love what she does to the dolls. I am curieus what you are going to do with them.